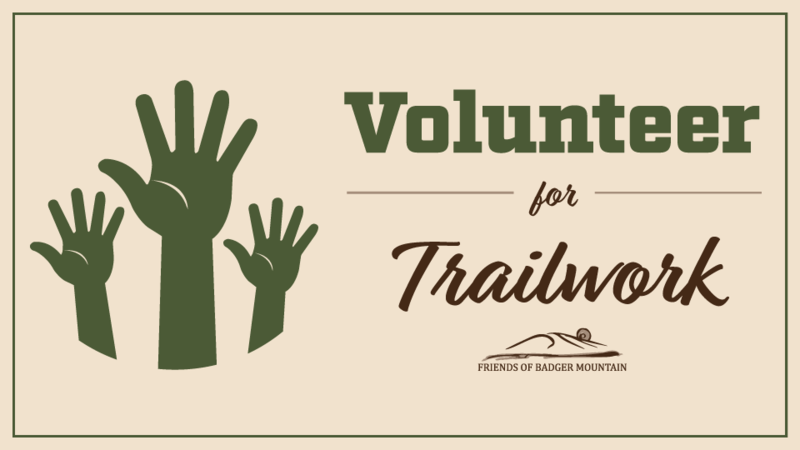 On Saturday, November 10th REI will again be teaming up with the Friends of Badger Mountain for a big work party. We plan to be widening the Canyon Trail up to the lower bench. This will involve digging out the uphill bank and pitching the dirt down into the gulley. Please note that this is weather permitting. Right now the weather looks great but if we have high winds, throwing shovel loads of dirt into it may not be a good idea. On Thursday and Friday we will be getting things ready for Saturday and Sunday will be picking up the remaining work. Last week we had to cancel Friday’s work because of high windy and there was no work on Sunday. The Thursday and Saturday crews did a great job with the rocks, installing all that we had left We have been getting lots of complements on how great the trails are but it takes volunteers to keep them that way. We could use some more help! We have lea than a month left before the ground freezes and there is still other maintenance work that needs to be done. When you volunteer you will need to bring work gloves, snacks and water, and dress for the weather. I will provide all the tools. There isn’t any work for preteens and younger. I will have work days most Fridays Saturdays and Sundays and various weekdays until Thanksgiving. If you can not make it to this week’s work parties, maybe you can plan for one of these other days. Our trails are only as good as volunteers make them!